Amazon Polly, a Text-to-Speech service, is now available in the AWS GovCloud (US) Region, Amazon’s isolated cloud region built for sensitive data and regulated workloads. Powered by advanced deep learning technologies, Amazon Polly is a service that turns text into lifelike speech. With dozens of natural sounding male and female voices across a wide variety of languages, you can build speech-enabled applications that work for your audience. How does Amazon Polly work? With an easy to use API, Amazon Polly enables you to quickly integrate speech synthesis into your existing applications. Simply send the text you want converted into speech to the API, and Amazon Polly immediately returns the audio stream to your application – so your application can begin streaming it directly or store it in a standard audio file format, such as MP3, Vorbis, and raw PCM audio stream formats. Amazon Polly also supports lexicons and Speech Synthesis Markup Language (SSML) tags, which enable you to control aspects of speech, such as pronunciation, volume, pitch, speed, etc. 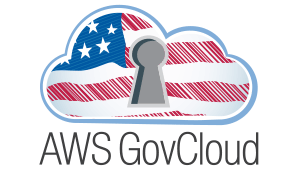 Create an AWS account and select AWS GovCloud (US) as your region in the AWS Management Console. Select Amazon Polly in the AWS Management Console, or open the Amazon Polly console at https://console.aws.amazon.com/polly/. Choose the Text-to-Speech tab, type or paste your text in the window. Pick a language and select a voice. Click on Listen to speech. Amazon Polly’s pay-as-you-go pricing and unlimited cached replays make it a cost-effective way to voice your applications. It’s easy to get started with the Amazon Polly free tier. Upon signup, you can synthesize up to 5M characters of speech monthly, free for the first 12 months.